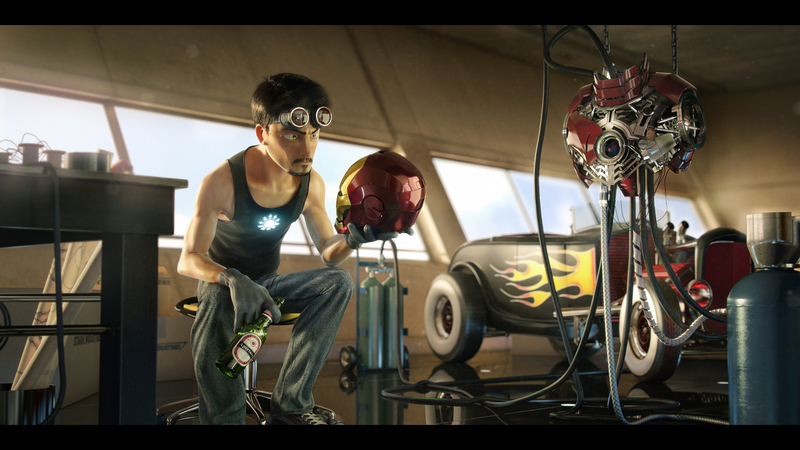 The extremely talented Victor Hugo has imagined Iron Man in the vein of Pixar style 3D. The detail is amazing. Be sure to check out all his other work as well... you won't be disappointed.